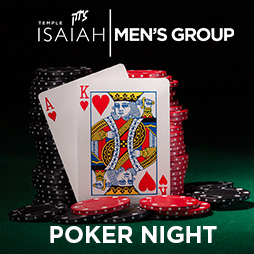 This event is not limited to men only; the entire Isaiah community is welcome to attend, enjoy and play. Proceeds from the evening will assist us in purchasing new bikes and sand equipment for our preschool and young religious school students. The entire Isaiah Community is welcome to play, not just men.